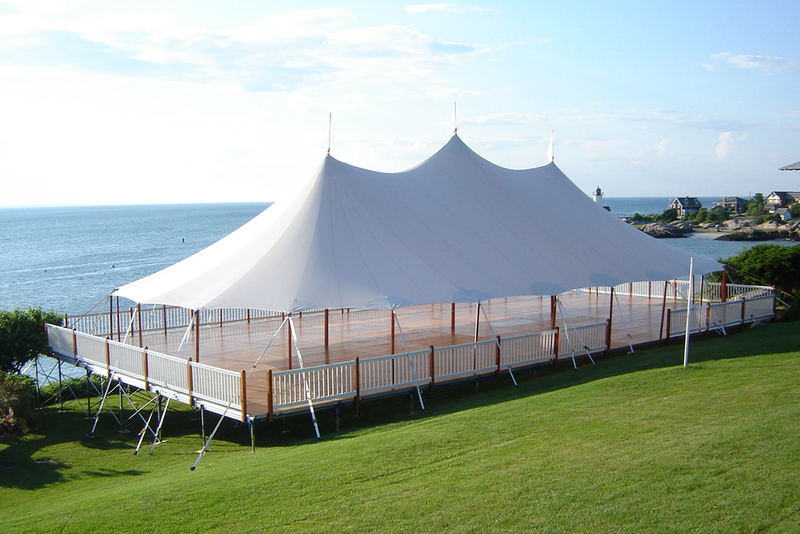 Dance the night away on our solid-wood dance floor or consider a fully floored tent for optimum guest comfort. 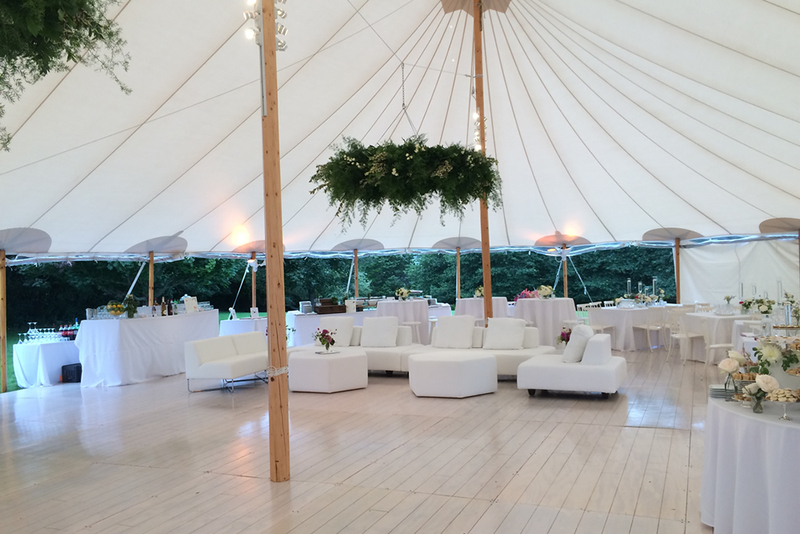 Just because your event is outdoors – taking advantage of all of the beautiful scenery available throughout The Hamptons, North Fork, and the Gold Coast – doesn’t mean your guests have to be uncomfortable. Our high-end rental tent flooring options allow planners, caterers, engaged couples, and other clients to implement a range of outdoor setups, from generously sized dance floors and stages for live bands to fully floored tents for optimum ease and comfort. We can even floor over pools, directly on sandy beaches for dancing or wedding ceremonies, and on sloping beachfront properties. Grey is a neutral on the rise, which is why our new slate floor is a rising star of tent flooring options in The Hamptons. Designed to mimic the appearance of actual slate, it complements a variety of event designs, from modern to earthy. Available for dance floors, full floors, walkways, and beach ceremony platforms. Our Montauk Driftwood flooring is perfect for a beach install or any event with a beach-y or even modern vibe. Its soft white finish with slight distressing pairs well with coastal settings and is very “Hamptons” in style. Available for dance floors, full floors, walkways, and beach ceremony platforms. This flooring option is the ultimate choice for a luxurious, polished Hamptons wedding or event. Finished with a high gloss, it adds just the right note of glamour tempered by tradition. Available for dance floors and full floors. For a less expensive wood floor option, our walnut flooring is a popular choice. Its dark brown stained veneer is more rustic in appearance than our English Chestnut panels, and yet still provides a polished, finished look to any outdoor celebration. Available for dance floors and full floors. For an event site requiring more than a foot of leveling, we offer an engineered system that raises the floor up 10 or even 20 feet, turning a sloping lawn into a perfectly level wood or carpeted floor. Our stages are constructed with an engineered staging system of 4 x 8 ft. sections that allows us to design any size platform to elevate your performers above the surrounding dance floor and party. Black skirting comes standard but other fabrics are available with ample notice.